Home Paleo protein powder What is paleo protein? 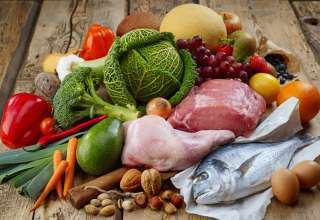 With the seemingly ever increasing number of people living a paleo lifestyle, the demand for paleo supplements is growing fast. As protein powder is one of the most commonly used supplements in bodybuilding, it should come as no surprise that paleo friendly protein powder is rapidly gaining in popularity. Let’s take a look at some of the more common questions. Traditional protein powder is a supplement that makes it easy to ingest large amounts of protein in an easily absorbable form. To make a powder that can accurately be classed as paleo, it needs to consist of 100% natural ingredients. If a caveman from 10,000BC couldn’t eat it, then it’s not paleo. This makes things a little bit tricky for protein powder manufacturers, but it’s far from impossible to create real Paleo protein powder. Whey protein makes up the vast majority of non-paleo protein powders, but there are several true paleo alternatives. For a source of protein to be suitable for use, it needs to be easily digestible, high in protein, and low in fat. One of the most commonly found paleo-friendly sources of protein is derived from eggs. The eggs are desiccated and then powdered, they are commonly found in two main forms – whole egg and egg white. Whole egg protein uses both the egg white and the yolk and contains vital amino acids. Pure egg white protein discards the yolk and provides a much leaner source of protein. It ranks very high on the Protein Efficiency Rating Scale (PER) – 3.9 out of a possible 4.0. Another common source of paleo friendly protein is beef protein isolate. While the name sounds artificial, it’s actually natural, and it’s paleo. It is created by boiling beef flesh at very high temperatures, letting it cool, removing the fat and desiccating the rest into a powdered form. It is nutrient dense with high levels of amino acids and is exceptionally lean. Soy protein is a fairly common substitute that claims to be paleo, but if we are following the diet to the letter – soy is technically a legume. So while it’s not a huge deviation from the diets specification, it is officially not paleo. Similarly, rice protein is not officially paleo friendly. When delving into to inner principles of paleo, brown rice is one of the grains that is probably the least offensive to the diet – but it is not as nutrient dense as egg protein. So if you are allergic or intolerant to eggs, it might be a reasonable substitute – but otherwise, stick to egg based powders. The flavorings and additives are the most common ingredients in protein powder that makes them paleo unfriendly. (Even the ones that claim to be friendly). For one reason or another, it seems that protein powder manufacturers cannot resist adding artificial ingredients to their product. Take a good long look at the ingredients list of any brand that you are considering trying out. Most of them will probably have some non-paleo ingredients in them. You will need to do a little bit of research as to what exactly is in an individual brands powder. Some common non-paleo ingredients to look out for are Fructose, Sunflower oil, and Maltodextrin. All hope is not lost, some of the best paleo protein powders are made with 100% natural ingredients. (You can usually spot them easily because they are the ones that have the smallest ingredients list on the side of the bottle.) The only issue is that the good ones, are often some of the most expensive ones too. Why Use Paleo Protein Powder? 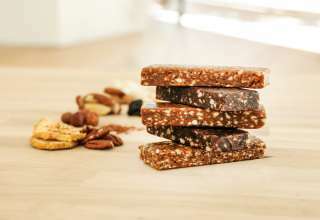 The ability to quickly and easily ingest a large amount of protein after a workout is not something that is exclusive to the paleo community. The proven benefits of supplementing your daily protein intake have been understood by researchers for many years now. It’s a great way to get vital protein into your system and give your body a little boost. Protein powder of any form will help speed up your metabolism and provides you with the essential building blocks needed to build lean muscle. However, by combining the benefits of protein powder with the benefits of the diet – you can supercharge your workouts while still remaining true to the principles of paleo life. There are many ways you can consume your powder. You will find no shortage of tasty recipes which can form a well-rounded part of any paleo meal plan. If you are the kind of person that would prefer to replace a meal with a shake, consider adding some friendly fruits to it in a blender. Things like watermelon, apples, mango and plums are all great ways to add a little flavor. Just remember that while the natural fructose is much better for you than HFCS (High Fructose Corn Syrup), it is still sugar, which means calories. So if you are using the diet to try and lose a little weight – it may be better to just take the shake raw. So as you can see the world of paleo protein powder is a difficult one. There are many brands out there claiming to be friendly to the diets specifications, but in reality, most of them are not. The only way you are really going to be sure is by spending a little time reading reviews online and researching the ingredients by hand. The time and effort the research process can take is well worth it. Because when you find a good brand, you will never look back.